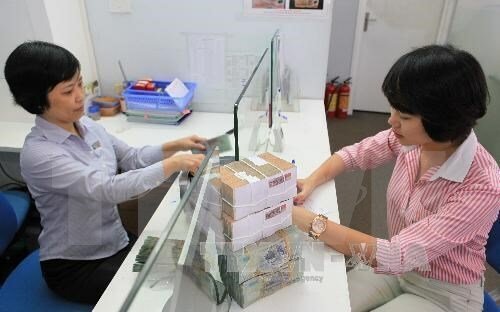 Hanoi (VNA) - Vietnamese shares extended gains on September 28, driven by the banking sector on expectations that lower short-term deposit rates would boost lending for the economy and local businesses. The benchmark VN Index overcame the loss made in the early session to reach a nine-year high of 686.72 points, up 0.3 percent from the previous day. The southern market index has jumped 5.4 percent in the last eight sessions. The HNX Index on the smaller Hanoi Stock Exchange rose 1 percent to end at 84.32 points, making a two-day gain of 1.5 percent since September 26. The three largest listed banks, Vietcombank (VCB), Vietinbank (CTG) and Bank for Investment and Development of Vietnam (BID), took the lead on the stock market on September 28. On September 26, these three banks cut their deposit rates by 0.3 percent to 0.5 percent for deposits of less than one year. The deposit rate cut complied with the central bank’s policy, which required commercial banks to save costs to reduce lending rates, in order to boost local businesses and economy. Analysts and brokerage firms also saw this move as a positive signal to the stock market and for the economy. More lending also means those banks will earn higher incomes in the near future. “The stock market will also benefit from the banks’ rate reduction as investors will find stocks more attractive than savings,” BVSC said. The three largest listed banks made good gains since September 26. CTG rose 1.5 percent and BID jumped 3.3 percent on September 28. CTG and BID have gained 3 percent and 8.8 percent, respectively, in the last two sessions. VCB did even better. The stock added 1 percent on September 28 to advance 11.4 percent in the last one-and-a-half trading weeks. On the negative side, the market saw two large-cap stocks decline on their business news, Saigon-Hanoi Securities Corp (SHS) reported. Property developer Vingroup JSC (VIC) dropped 2.8 percent after it announced two of its business units – the Vinmec hospital chain and the education establishment Vinschool – will transition from for-profit to non-profit operating models. Consumer goods producer Masan Group (MSN) plunged 4.4 percent after the tungsten mining project of its sub-unit Masan Resources was inspected by officials on September 28.